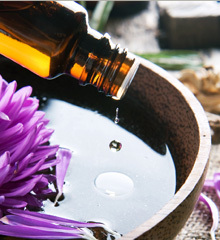 A unique massage tailored to your specific personal needs.Relax and revive aching muscles while eliminating stress.You choose the massage techniques, areas of the body, lotions, oils and the music during your session.Our professional staff will guide you through with healing hands leaving you rejeuvinated and energized. Balance your body and mind with our deeply relaxing Hot Stone Massage.During the treatment, basalt stones are bathed in warm water and anointed with fragrant oils. 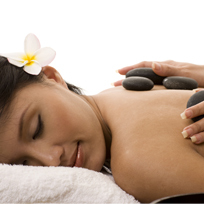 The stones are then placed on the energy points of the body, evoking an aura of warmth. The deep penetrating heat from the stones is used to massage the body using traditional techniques to release muscular tension and balance the spirit. Thai Massage incorporates yoga, meditation, accupressure, reflexology and stretching for an invigorated complete body healing. Thai massage is an ancient healing art that incorporates techniques used for centuries by Thai Royalty and everyday farmers to relieve stress, aid energy flows, and promote relaxation. Thai Massage facilitates relaxation, clears your energy flow, stimulates the nervous system, increases flexibility, improves blood circulation, and rejuvenates your body. Reiki massage, or reiki therapy, is a healing technique that promotes simultaneous physical and spiritual healing. Reiki healing promotes stress reduction and relaxation and is administered by a reiki healer. An energetic therapy that was designed to heal the body using the hands and the energy that circulates within our own bodies. Reiki healing unblocks the chakra life forces flowing through the body, and this force can be strengthened, restored, and redirected by a careful use of the reiki practitioner’s hands. Willow Tree Massage Therapy is excited to offer some fantastic massage specials. Willow Tree serves Fort Mill, Tega Cay, Rock Hill and surrounding areas with a truly amazing staff of highly trained therapists. 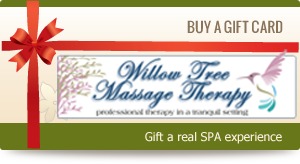 Check our specials and book an appointment today to experience the Willow Tree massage difference. Willow Tree Massage packages are the best way to keep your mind and body feeling great. 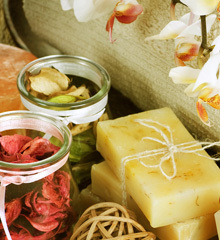 Our most popular massage packages assist in maintaining a healthy body and relieving stress from daily life. Willow Tree Massage Therapy has a highly regarded reputation of providing the best therapeutic massage in a tranquil setting. Serving Tega Cay and Fort Mill.